The Don't Blink cocktail builds on the Blinker cocktail, a simple, yet effective combination of rye, grapefruit juice, and grenadine. There are lots of variations of the Blinker, as you can see in my post on the subject, but I like the addition of Averna and St. Germain to add more complexity and sweetness. and strain into a cocktail glass with a grapefruit peel garnish. The result is not overly sweet but just sweet enough. 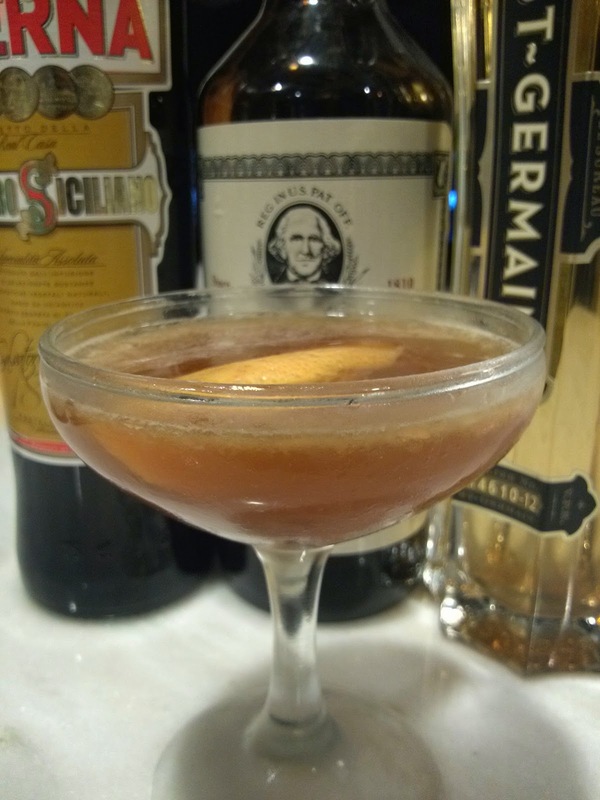 The Averna adds more bitterness, and the St. Germain tempers that bitterness nicely. Whenever grapefruits are in season and fresh juice is easy to come by, I will be making Don't Blink cocktails for everyone who pops by. That's what cocktails are all about, after all: enjoying them on the patio with people to talk to.